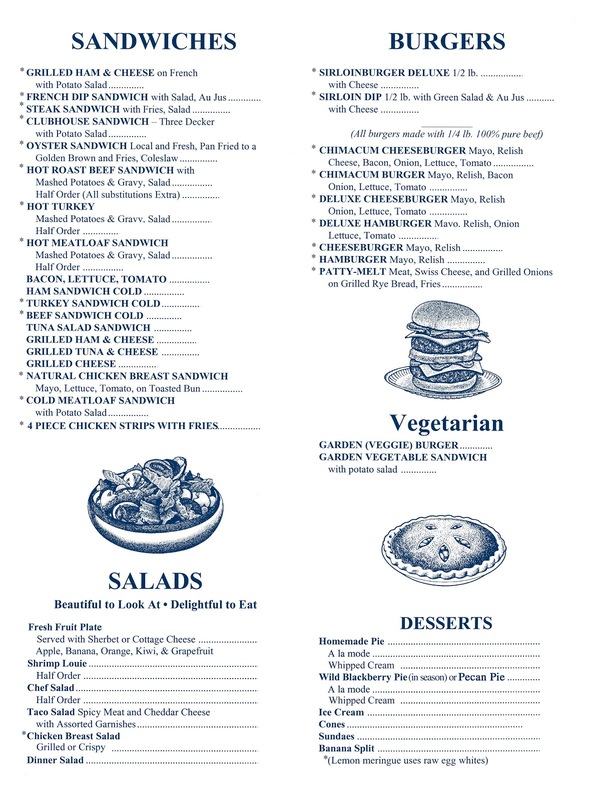 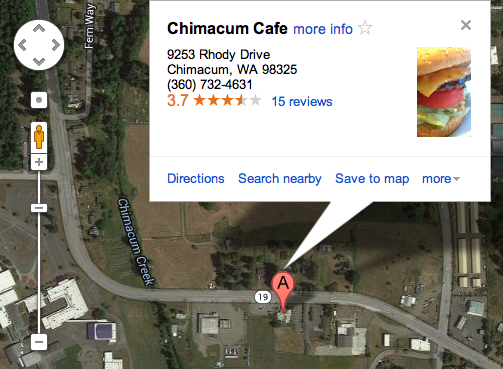 Welcome to Chimacum Cafe, famous for tasty, homestyle meals and exceptional wild blackberry pie (in season, of course). 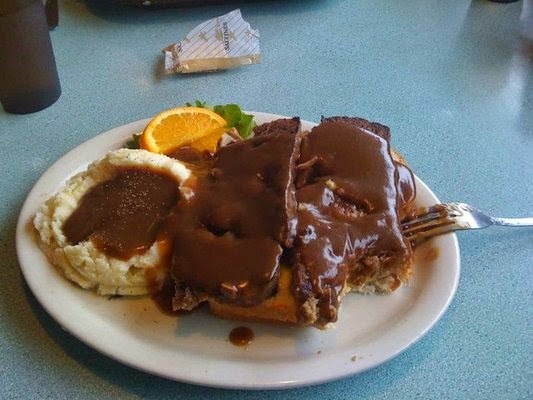 Popular with locals, who frequent the tables, booths and lunch counter for breakfast, lunch and dinner. 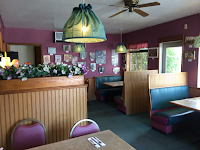 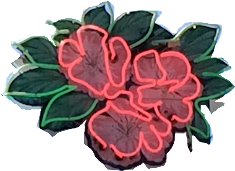 A worthy destination for visitors passing through and for old timers, who return again and again, drawn by the memories of the first time they discovered Chimacum Cafe. 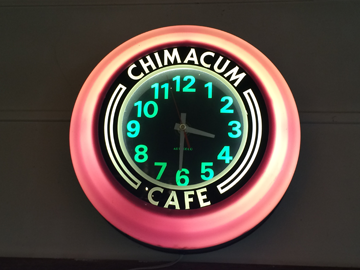 You can't miss Chimacum Cafe if you are entering the area from Highway 104 on Highway 19 (Beaver Valley Road) or on Center Valley Road. The address is 9253 Rhody Dr. (Hwy 19). 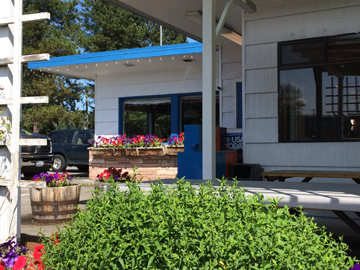 This wonderful roadside attraction is decked out in blue and white on the outside. And, once inside, you'll feel at home. 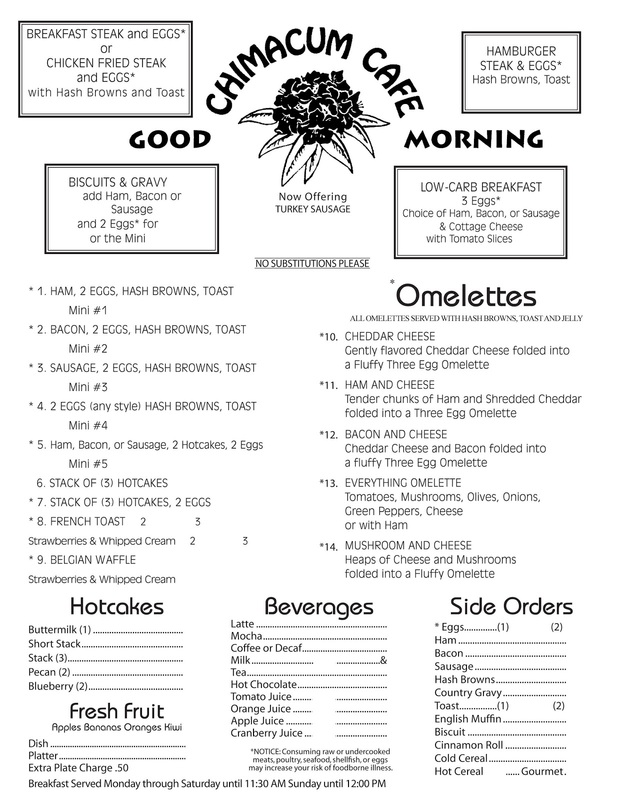 Breakfast at Chimacum Cafe is a wake up to get your day started. 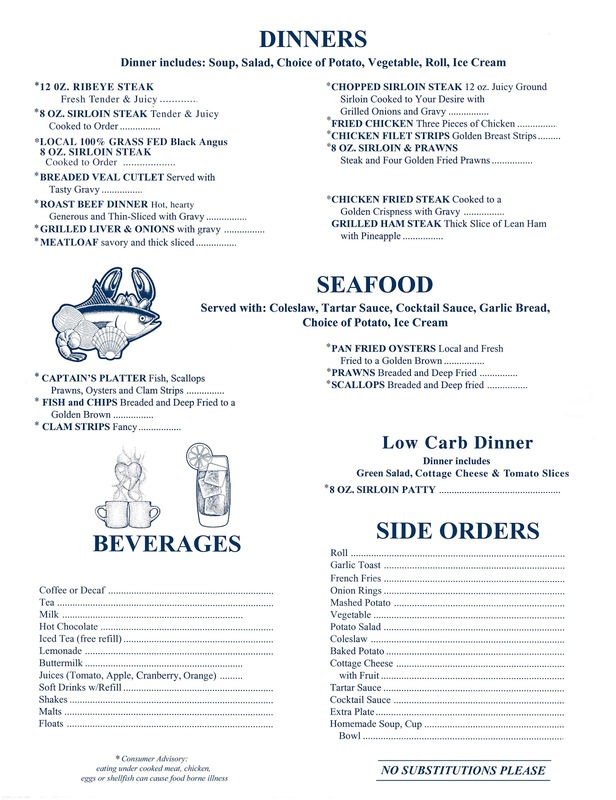 From Steak and Eggs to Low Carb, pick your favorite.